VIGENCIA 25 FEBRERO 2012 – 25 FEBRERO DEL 2017. CERTIFICADO POR EL CONSEJO MEXICANO DE ORTOPEDIA Y TRAUMATOLOGIA A. C (2012- 2017). HOSPITAL SAN ANGELL INN SUR. HOSPITAL SAN ANGEL INN UNIVERSIDAD. MEDICO ADSCRITO EN “HOSPITAL PEDIATRICO IZTACALCO” SECRETARIA DE SALUD DEL DISTRITO FEDERAL TURNO MATUTINO SERVICIO DE ORTOPEDIA. CONGRESISTA EN “CURSO EN TEMAS SELECTOS EN ORTOPEDIA PEDIATRICA” INSTITUTO NACIONAL DE PEDIATRIA DEL 04 DE MAYO AL 07 DE SEPTIEMBRE DEL 2007 CON UNA DURACION DE 46 HORAS. CONGRESISTA EN “X ENCUENTRO NACIONAL AMOT 2008 DEL 4-8 DE NOVIEMBRE DEL 2008” (ACAPULCO GRO.). COMNGRESISTA EN “ XXII CONGRESO INTERNACIONAL DE LA SOCIEDAD CUBANA DE ORTOPEDIA Y TRAUMATOLOGIA Y SEGUNDA REUNION BINACIONAL CUBANO- MEXICANA D E ORTOPEDIA Y TRAUMATOLOGIA “ ( HABANA CUBA SEPTIEMBRE 2011). PARTICIPANTE EN 2DO SEMINARIO DE INVESTIGACION “NOCIONES BASICAS EN METODOLOGIA DE LA INVESTIGACION EN ORTOPEDIA “ DEL 9-11 DE FEBRERO DEL 2011 ( COLEGIO MEXICANO DE ORTOPEDIA Y TRAUMATOLOGIA A.C , CIUDAD DE MEXICO). 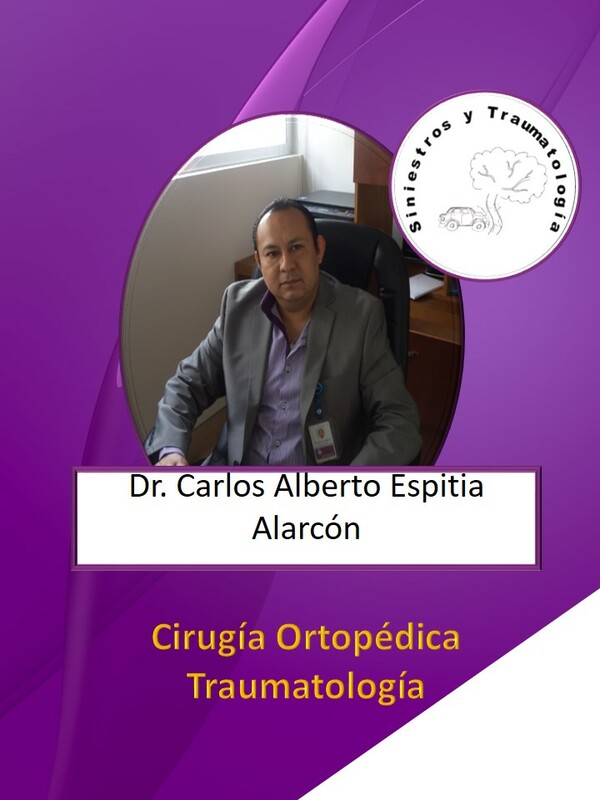 AUTOR DEL TRABAJO EN MODALIDAD CARTEL “MANEJO DE LAS FRACTURAS DE PELIS EN HOSPITAL DE XOCO “DURANTE EL CONGRESO NACIONAL DE RESIDENTES EN ORTOPEDIA REALIZADO EN EL COLEGIO MEXICANO DE ORTOPEDIA Y TRAUMATOLOGIA, 20Y 21 DE ENERO 2012. (CIUDAD DE MEXICO). CONGRESISTA “5TO CONGRESO NACIONAL DE RESIDENTES DE ORTOPEDIA DEL 20 Y 21 DE ENERO DEL 2012 (CIUDAD DE MEXICO). CONGRESISTA EN “ XXXII CONGRESO NACIONAL DE PRTOPEDIA Y TRAUMATOLOGIA Y A LA 59 REUNION ANUAL 2014 DEL 30 DE ABRIL AL 4 DE MAYO DEL 2014” ( WORLD TRADE CENTER CIUDAD DE MEXICO ). PARTICIPANTE EN “CURSO MANEJO DE FRACTURAS DE CADERA (CLAVO INTERTAN) UNAM (ESPECIMEN CADAVER ) 14 Y 15 DE AGOSTO 2014.